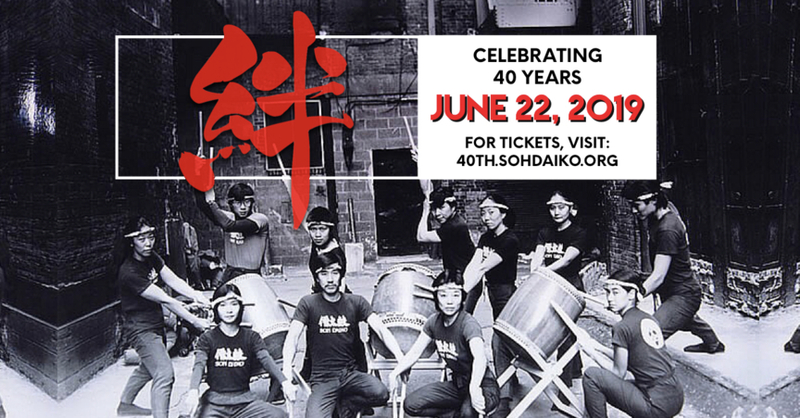 Last weekend, Soh Daiko traveled to Rhode Island’s Brown University to participate in the East Coast Taiko Conference. 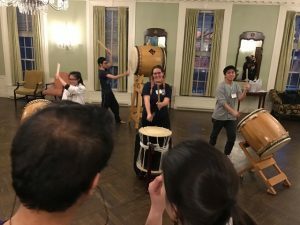 Sincere thanks and gratitude go out to Gendo Taiko for reviving and hosting this wonderful gathering of taiko enthusiasts from all over the world. 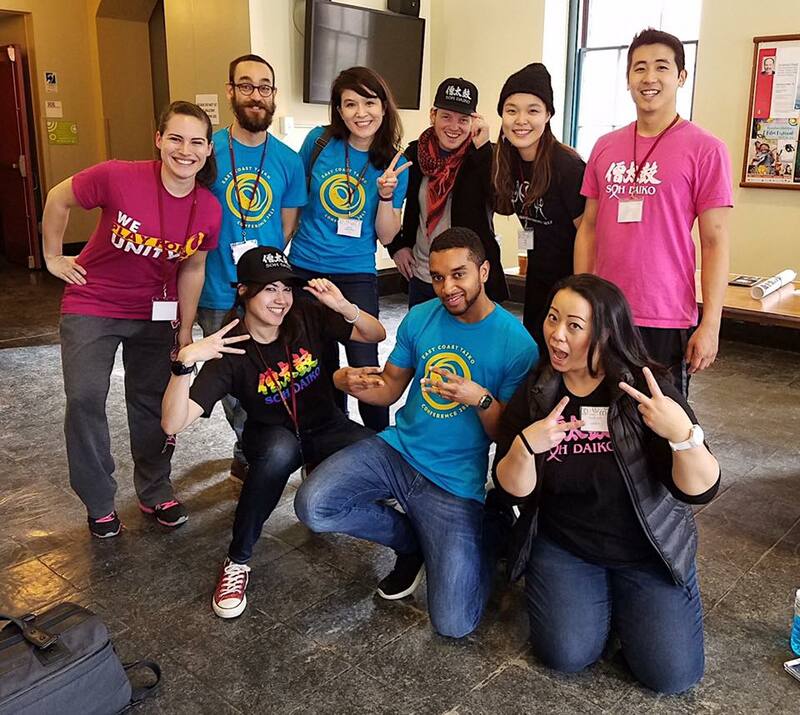 This year’s international guests and workshop leaders included Mikita Hase – a professional taiko performer and teacher, and a member of Eitetsu Hayashi’s Fu-un no Kai – and representatives from Ishindaiko (一心太鼓), a 40-person taiko troupe founded and based in Londrina, Brazil. 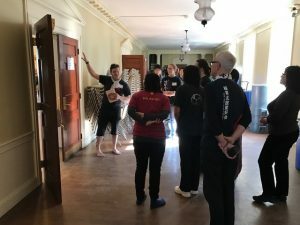 Soh Daiko members were fortunate enough to host Hase-sensei for a workshop at the New York Buddhist Church prior to attending the conference, and thoroughly enjoyed working with soh many new and familiar faces throughout the weekend. 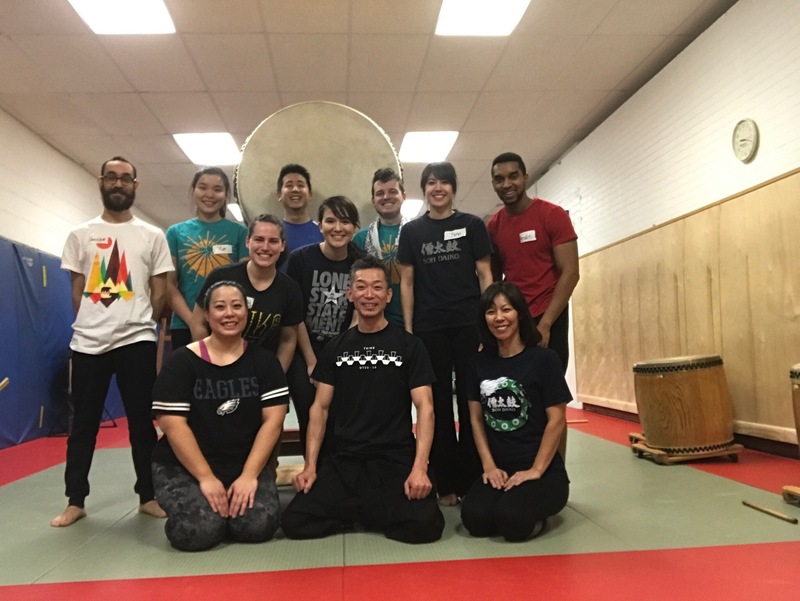 Post Odaiko Workshop with Mikita Hase. Thank you, Sensei! During the day on Saturday, Soh Daiko conducted two sessions of our Stage Presence workshop, which taught participants about many of the subtle, yet imperative facets of stage performance that occur outside of the actual musical performances. These items include posture, carrying equipment while on stage, moving equipment in a cohesive group during transitions between pieces, and what questions we ask ourselves as we prepare for each performance. 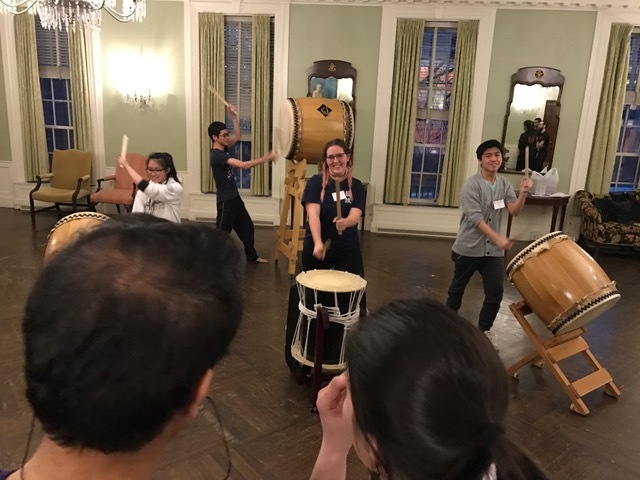 In the evening, we were honored to perform Yuudachi as a part of the final concert, alongside many of our fellow workshop leaders and conference attendees. 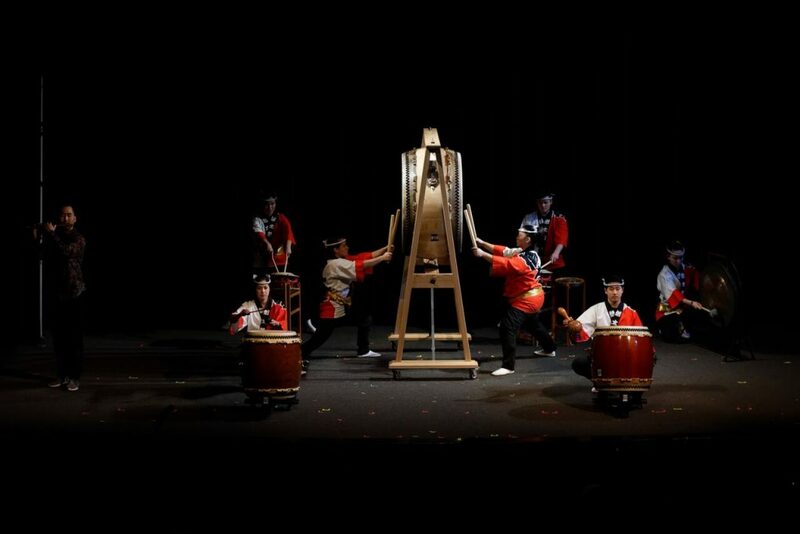 Thank you to everyone for your spirit, enthusiasm, and commitment to the development of North American taiko. We can’t wait to see you again next year! Were you at ECTC this year? TCA and Gendo Taiko need your help! If you attended the East Coast Taiko Conference this year, please take a few minutes to complete this short survey about your experiences. 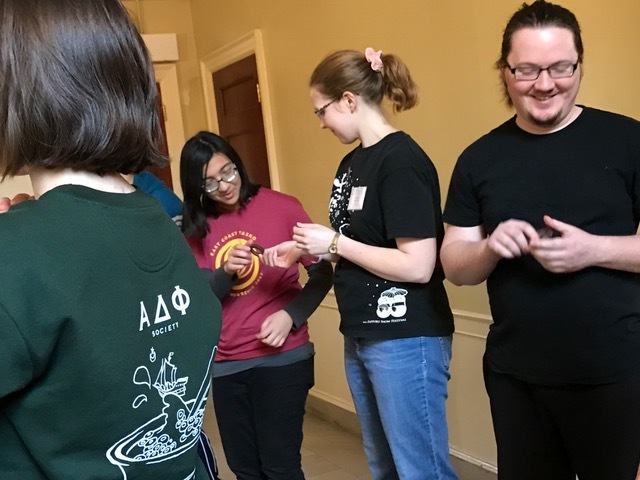 Your contribution will serve as a huge “thank you!” to all of those who dedicated tireless hours to this year’s successful conference, and ensure the continued success of future events.